This is a critical position for DT coaches so if you don’t score well here you are going to struggle to get a high 700 score and a win. There are different combinations used by coaches through the year but the top 10 DT coaches at least Campese (49.00) and Soward (46.83) are the favoured two, featuring in all but three teams. As for the NEX-Cup try and find a top team without Hodgkinson (42.35) but there is a real mix with the 2nd spot. With my review of the halves I have used 45 as the bench mark score by now I think we would all be disappointed if our halves didn’t at least get that score each week. Again the table below does tell the story and if you haven’t settled on you combination this might help you out. Former Dragons under 20 star Kane Linnett (Not Listed) could be called into the Roosters team for Sunday’s Anzac Day game against St George Illawarra if fullback Todd Carney succumbs to a rib injury. 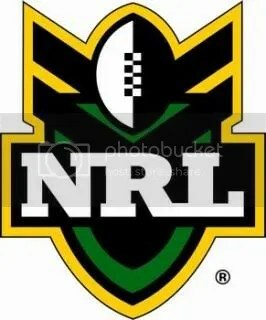 Linnett has been ultra-impressive for the Roosters’ NSW Cup feeder club Newtown this season and could make his NRL debut after Carney suffered the injury in the thumping win over Canberra on Saturday night. Roosters coach Brian Smith is likely to shift Anthony Minichiello to fullback to cover Carney, opening the door for Linnett to play on the wing or in the centres against his former club. Carney is expected to be named in the Roosters line-up today, but will have to prove his fitness later in the week.